Whether you want to resolve an e-commerce dispute, structure a complex, international deal online, or establish a business on an affiliate marketplace like Amazon, eBay, or Walmart, the experienced e-commerce attorneys at AEGIS Law are here to help. For almost a decade, AEGIS Law attorneys have counseled hundreds of clients at every stage of the e-commerce pipeline. We have helped our e-commerce clients secure funding, structure tax efficient deals, resolve account suspensions, and address brand protection concerns. By 2021, researchers expect global e-commerce sales to reach 4.8 trillion dollars. If you are ready to take advantage of this growing marketplace for your organization, let the forward-thinking attorneys at AEGIS Law tailored a strategy to meet the needs of your business. Our e-commerce team uses a multidisciplinary approach focused on growing and protecting the key business drivers of your organization. AEGIS Law’s business-savvy attorneys counsel companies of all sizes both on and offline. 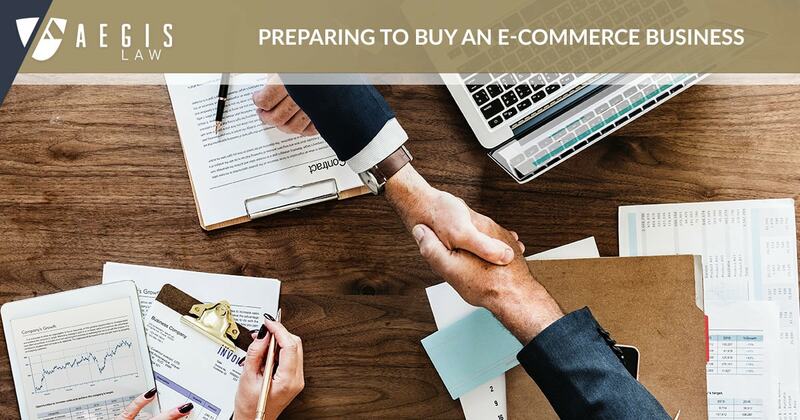 In the e-commerce arena, we excel at structuring tax efficient deals that protect sellers from undue post-closing liability and shield buyers from unnecessary pre-closing costs. We also have counseled million dollar businesses through mergers, acquisitions, and investment transactions nationally and internationally. In fact, the Missouri Law Journal published one of our scholarly articles in the area of tax efficient, online transactions in a recent edition. No matter your concern or the size of your organization, AEGIS Law’s integrative approach will ensure that your next e-commerce merger, acquisition, or investment transaction strategically moves your business forward. E-commerce, more than any other business system, involves the buying and selling of products and services based on the licensing of intellectual property. Creators and business owners sell everything from online courses and training to music, pictures, products, and software using e-commerce platforms. Often the most valuable component of these transactions is the intellectual property behind it. Therefore branding, customer recognition, and goodwill are essential components of any e-commerce business. The intellectual property attorneys at AEGIS Law can help your organization established, protect, and maintain your intellectual property rights online. Our seasoned attorneys have the know-how to create comprehensive IP protection strategies that stop infringers from stealing your work and benefiting from your labor. AEGIS Law also has helped our clients register their work for patent, trademark, or copyright protection, and we maintain those registrations through our on-going relationships. If you have an e-commerce intellectual property concern, let Aegis Law help you build your brand and enforce your rights online. With the fallout from data breaches at companies like Target, Equifax, and Yahoo, it is essential now more than ever that e-commerce businesses create and maintain comprehensive data protection strategies for their organizations. At AEGIS Law, we advise our clients on the best practices for shielding customer data and preventing cyber attacks. Our integrated data privacy and cybersecurity team mitigates risk in the key business drivers of clients’ companies including intellectual property, human capital, finance, and operations. We focus on strict compliance with national and international data protection laws. We also help our clients create policies and procedures to: (1) prevent cyber security attacks, (2) monitor the e-commerce landscape for potential threats, and (3) rapidly respond to any security breach. AEGIS Law attorneys customize their services to ensure they meet the data security needs of our client organizations regardless of their size. Websites like Amazon, eBay, and Walmart offer an enormous opportunity to start a business or bring your current company online. 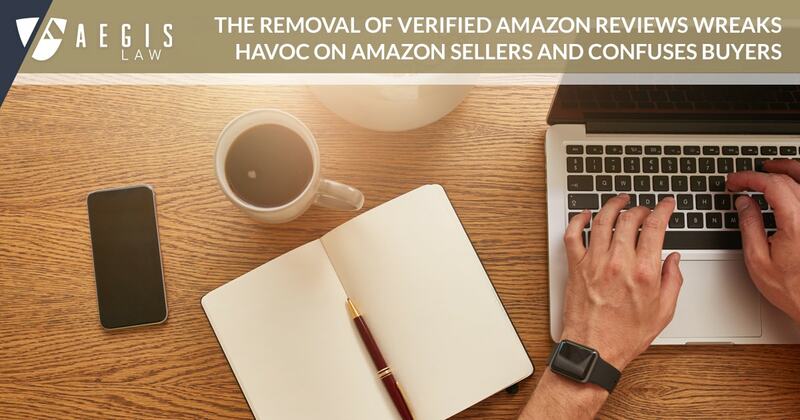 However, these seller and affiliate marketplaces require strict compliance to regulations not known to many business owners. Failure to comply with these policies can result in account suspensions and other disputes that may limit sales and growth. As e-commerce counsel to organizations of all sizes, the attorneys at AEGIS Law have helped numerous clients navigate the compliance and regulatory structures of affiliate marketplace sites. We advise our clients on matters related to buyer complaints, account suspensions, and appeals. We also protect brands from counterfeiters on those affiliate marketplaces through our trademark protection and monitoring services. If your business extends to the e-commerce affiliate marketplace, let AEGIS Law be your guide to protecting your organization online.